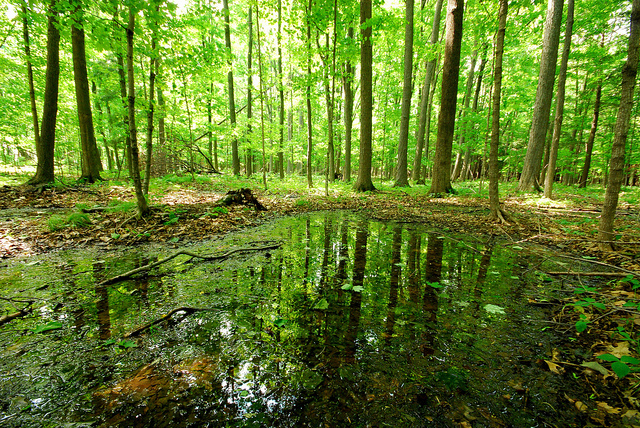 Is your wetland home to frogs or toads? 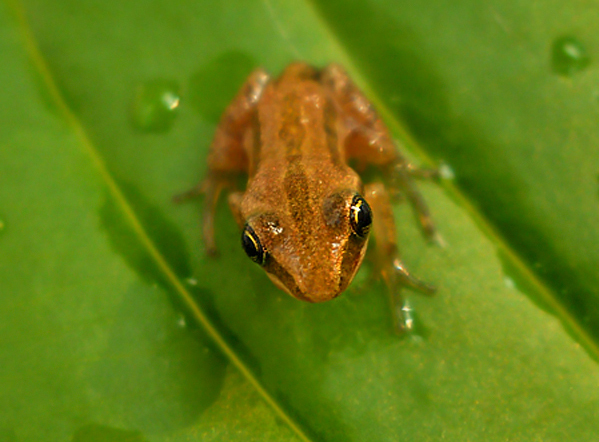 Spring is a great time to get out to listen for these amphibians. Male frogs and toads, like male songbirds, advertise their presence to females by singing or “calling”. Also like songbirds, each species has a distinctive call. 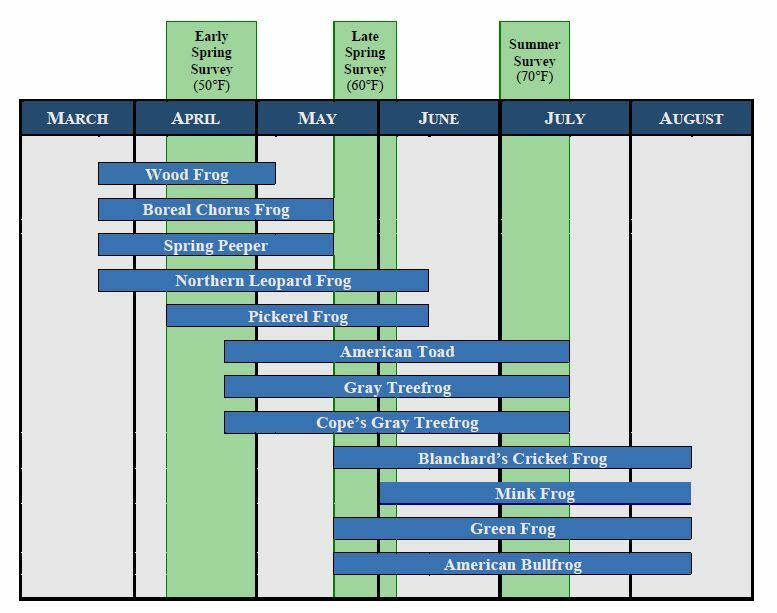 Wisconsin frogs call during one or more of three general breeding periods: early spring, late spring, and summer. Even if you aren’t able to see frogs and toads in your wetland, most frogs and toads in Wisconsin are easy to identify by their calls. 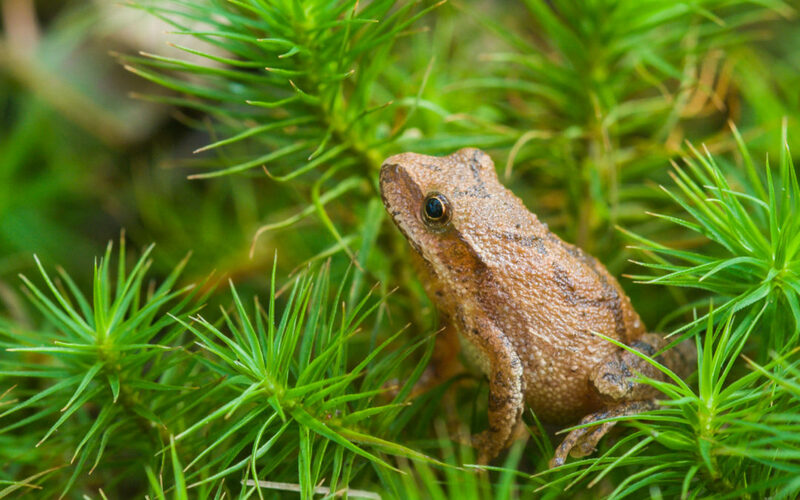 The Wisconsin Frog and Toad Survey website has links to videos for each of these species that describe how to identify each species by both sight and sound. You can also check out the Wisconsin Citizen Based Monitoring Network‘s YouTube channel. If you keep a field journal for your wetland, be sure to note any frog or toad that you see or hear (including the date(s) when you saw/heard them, and where). You can compare these dates from year to year to see how things change from year to year, depending on the weather and other variables.